Peru’s Colonial capital certainly has been winning a lot of plaudits of late, mainly due to its blossoming food scene, enigmatic nightlife and its reputation as a cultural hub – blending the best of the old and new of Peru. I have compiled a bit of a “must see” of Lima, for those who want to know what to do… and just two days in Lima to check it out. 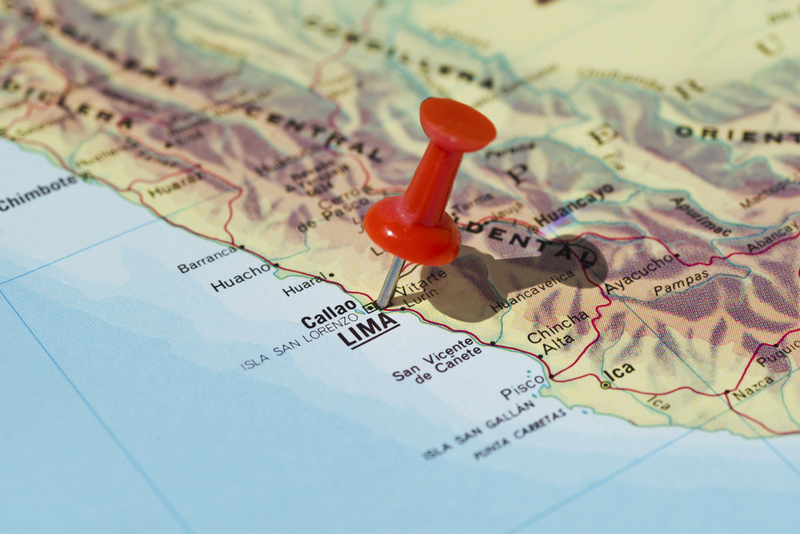 Most travellers have heard bad stories about Lima. In the past crime, uncleanliness and lack of decent food and hotel options really made most tourists bypass the capital. With Peru’s incredible economic growth over the past 15 years many things have changed including the modern travellers opinion of the city. I have been visiting this city pretty much every year for the past 15 years, and I urge you to give it a try. There has been an amazing amount of change in this town, and 48 hours in Lima could well turn out to be one of the highlights of your trip. I really need to stress to you that Lima is all about the food – Food drives modern Peru like no other force, and it gels the population with a strong sense of cultural identity. Blending flavours from the Amazon, to the high Andes to the Pacific coast.. Not to mention with a bit of influence from migrants from Japan, China as well as Europe. Today, is about FOOD! This morning, depending on when you get up you should try to make a trip back towards the airport – and the province of Callao. Spend the morning visiting the ‘Terminal Pesquera” and the fish markets. Peru has some of the richest fishing grounds on the planet – and the fruits of labour for the local fisherman can be seen here on full display! After visiting the market, try checking out the star fort of Callao. One of only two still in existence in the world today. The other, can be found in Kinsale, Ireland. The fort is open to the public and has a small military museum as part of the exhibit. After leaving Callao, head towards the tourist area of Miraflores, and have a traditional seafood lunch. 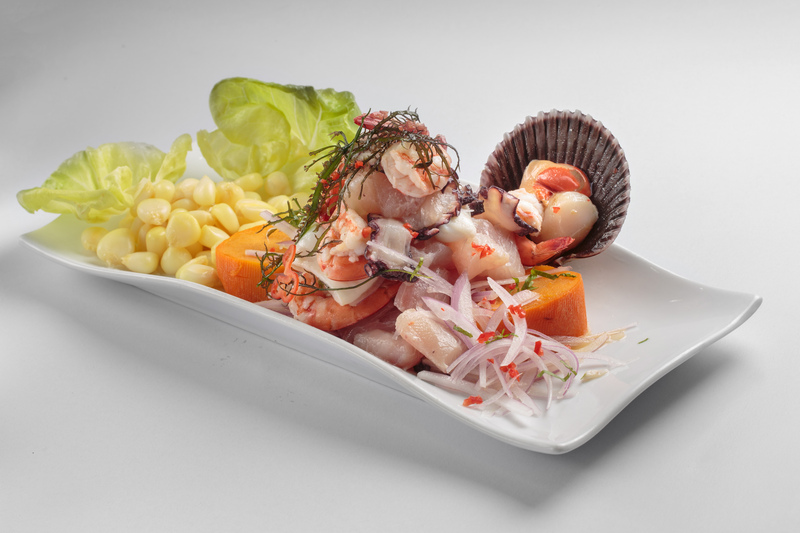 ‘Ceviche‘ is one of the most well-known dishes on the coast, and if raw fish marinated in lime juice with onion and chilli isn’t you bag, try causa rellena (yellow potato mash layered with Tuna, or crab meat), Chiccharon de Calamar (depfried squid), or even Arroz con marisco’s – Peru’s sensational seafood risotto. Fish in any way shape or form are on most Cevicheria’s menus. Here is a couple of my favourites. A favourite amongst Limenos – This chain of seafood restaurants serves BIG plates. Best to share, food starts at around $10 USD per plate. Please note this restaurant does not generally accept credit card. So bring some cash. Named by Gaston Acurio as his favourite market for Ceviche, sample some of the freshest around at the fish counter, pick your fish and off you go! 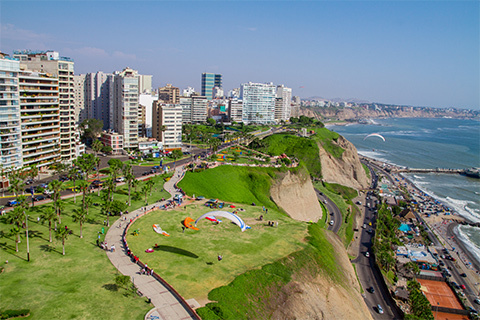 After lunch take a stroll along the Malecon, on Miraflores seafront – a pleasant stroll and a good way to work off lunch! Be sure to stop in at ‘Parque de amor’ where Victor Delfin, the renowned Peruvian artist was commissioned to build this shrine dedicated to love!. If looking for shopping, visit Larcomar – a unique shopping centre built into the cliff-tops overlooking the Pacific Ocean. Larcomar has many well-known brands and some Peruvian designers thrown in for good measure. Whilst dinner may not be on most people’s agenda after a big lunch, I strongly recommend you visit one of Lima’s best known restaurants for dinner. Having 4 restaurants in the world’s top 50 is no mean feat – and you should check out the below. Astrid and Gaston – The first restaurant from the legendary Gaston Acurio (mentioned above) This really set the scene for modern Peruvian cuisine. Current head chef is Peruvian Diego Munoz who plied his trade in Australia for many years, including a long time working at Bilson’s in Sydney.. Where Gaston was so impressed when he dined there he brought him back to Peru to run his kitchen! Central – The hottest Restaurant in Peru and run by Virgilio Martinez. Heavily influenced by Amazonian cuisine – Virgilio’s food is quite experimental in nature and his restaurant is deservedly the best in Peru at the moment. For these two experiences – expect to pay upwards of 75 USD per person for a dinner you will long remember. For a good read on Peruvian food, check out Ben Groundwater’s article on Peruvian food with yours truly! After breakfast – head to the world class Larco Museum. The Larco has Peru’s best collection of Pre Colombian artefacts and is from a private collection. The journey from downtown Miraflores or San Isidro takes around 40 minutes. Try to leave after 9:30 to avoid Lima’s heavy traffic. The museum is housed in a beautiful colonial home across the road from an Inca ‘Huaca‘ or Pyramid style ruin. For lunch – see day one’s dinner or lunch options! Or try some of the fantastic Peruvian – Japanese fusion food at Edo or Nikita. If Chinese is more your style, check out a local ‘Chifa‘ they abound throughout the city and especially in the Chinatown district or ‘barrio chino’ where you can be a short stroll from this afternoons recommendation. No trip to Lima would be complete without a visit to the Colonial centre. Visit the majestic Cathedral, built in the 16th century and rival to many in Europe. Lima was known as the city of kings and during its heyday was amongst the wealthiest cities in the world. For those looking for a glimpse of the macabre, visit the cities catacombs or the museum of the Spanish Inquisition. Finish off with a Pisco sour at the Bolivar hotel – rumoured to be the first place in Peru to serve one! The hotel is long past its heyday but a good spot to sample history! As you can probably tell, there is certainly plenty to do. If buying souvenirs try to squeeze a visit to the Inca market in a street called Petit Thouars, often prices here are better than in the provinces including Puno and Cusco. Before you wind up your time in Lima – visit Colonial Barranco. Barranco is the bohemian heart of the city with magnificent colonial era buildings, boutique hotels, galleries and bars. A great bar to visit to is Ayahuasca bar – A Peruvian themed bar with a huge range of Pisco cocktails to sample. If dancing is your thing – visit one of Barranco’s traditional ‘Pena’ bars, where Afro Peruvian beats will keep you dancing until the wee hours with ordinary, everyday Peruvians from all walks of life and age groups. Peru’s second love after food is music – Like most Latin nations you can find music for all tastes, but traditional music is best found here. A ‘Pena’ is the perfect way to finish off a busy couple of days and experience this vibrant city from feeling its heart and soul. I love Lima – she will grab you, and drag you in. Seduce you with her charms, and then give you a damn good shake that will rock you to your core! Go and check it out. Whether you are after a traditional stopover or an extended stay – It will be something you won’t regret, just make sure you spend some time to get to know her… you won’t regret it! As to where to stay, the accommodation choice is as varied as this amazing city – talk to us and we can tell you all about it!